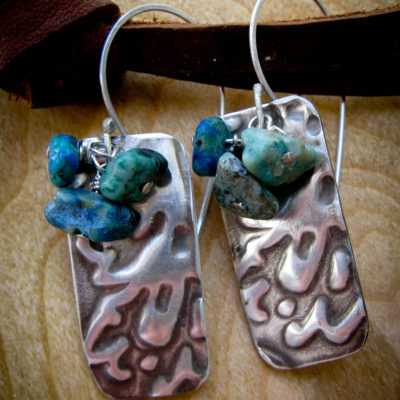 The organic textured Argentium Silver Earrings are patinated to create an antique silver look accented with Chrysocolla cluster dangles. Handmade 22g sterling silver. Measures 1.25″. 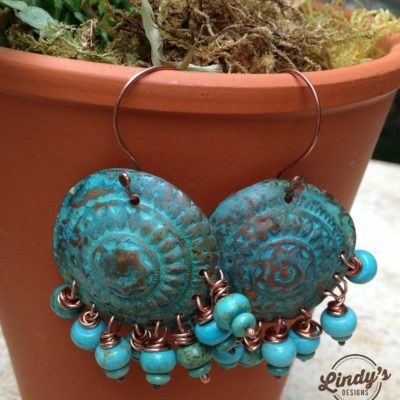 Gorgeous patina blues in these earrings. Textured patina Mykonos rings are paired up with artisan lampwork beads and porcelain dangles in soft blues. 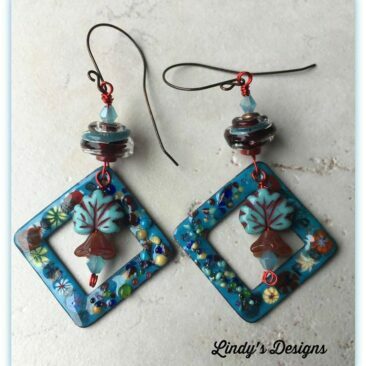 These earrings measure 4″ from middle of earwire to end of dangle and 1″ across the widest point. 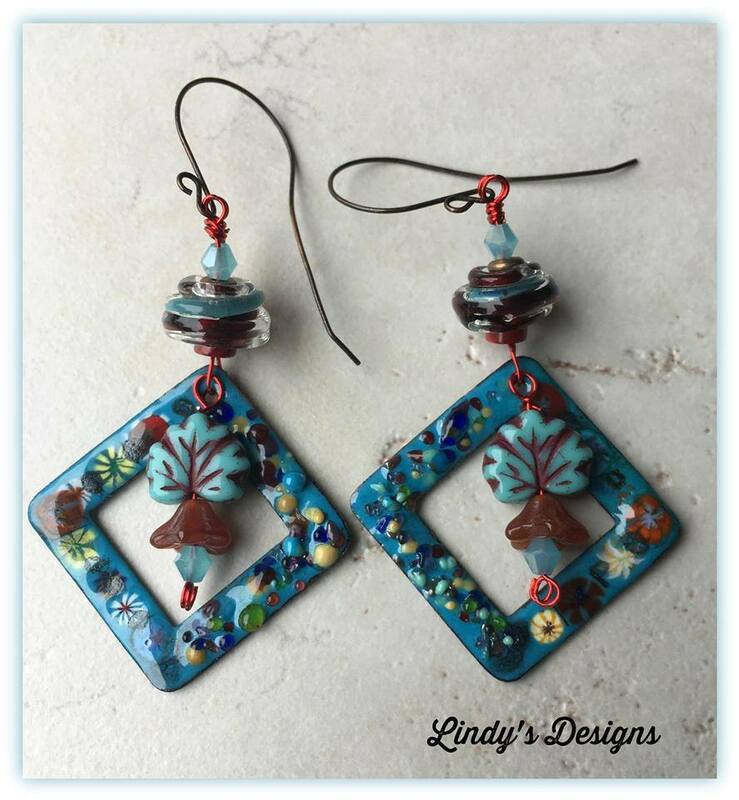 They are a great bohemian style earring and would be a nice addition to your wardrobe. 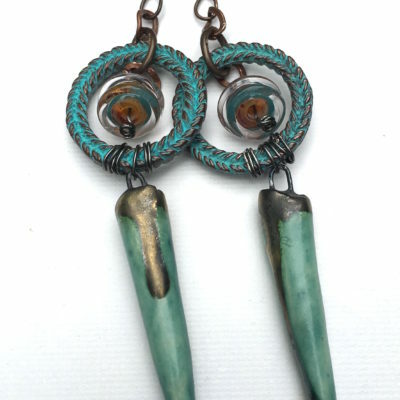 These gorgeous rustic blue earrings feature copper patina focals handcut, textured and patinated and combined with dangles of howalite and turquoise. Handforged copper earwires finish off this gorgeous pair of earrings. 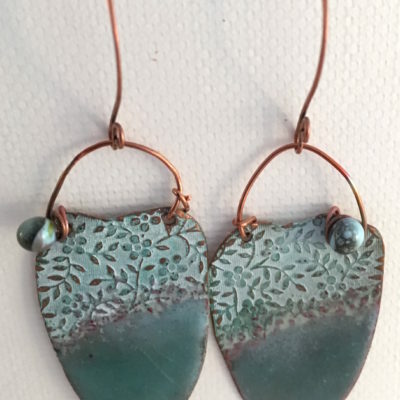 These soft seafoam green shield shaped earrings are a combination of enamel and patina on textured copper. 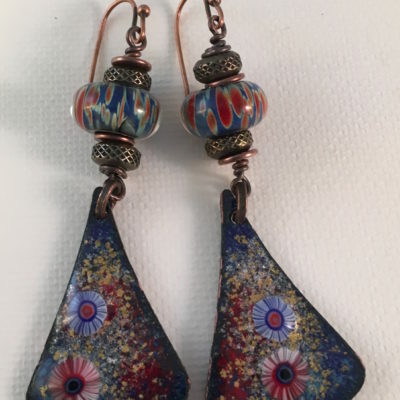 Hand cut, patinated and enameled and attached to hand made copper earwires. Great Bohemian look. Original design from Lindy’s Designs. 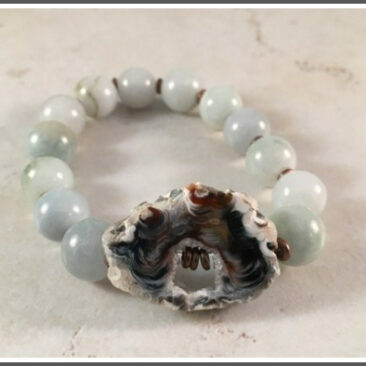 All items come gift boxed ready for gift giving. 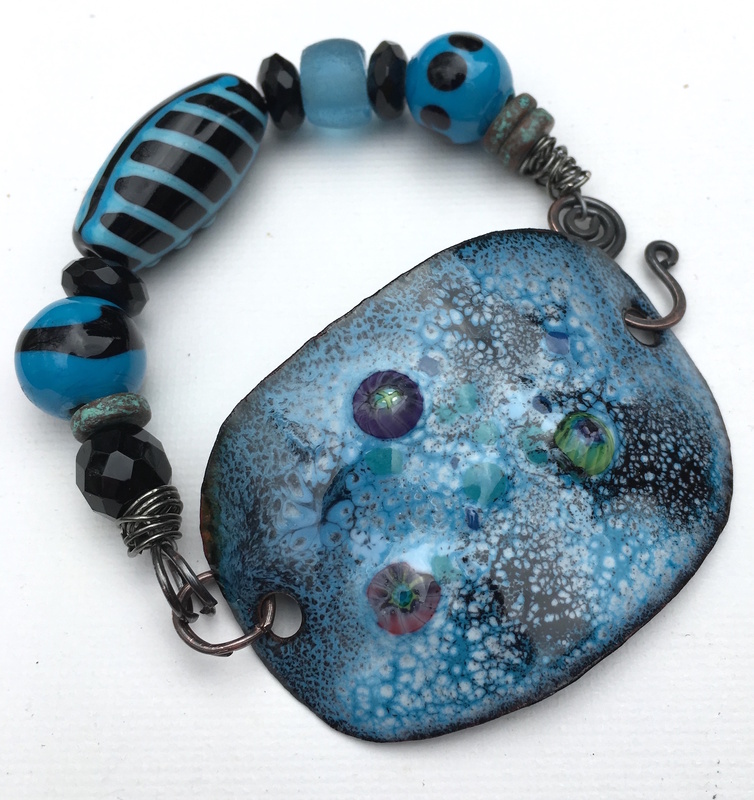 These gorgeous Artisan enamel charms have a floral designs in colors of navy, red, blue and gold and are combined with Artisan lampwork beads in shades of blue and red. Brass spacer accents give these earrings a Renaissance look. These earrings make a fashion statement and will enhance any outfit going from casual to dressy with ease. Copper earwires were used in this piece.